All Good Things is the dramatized recount of an actual unsolved murder case. Based on the real events leading up to the trial of Robert Durst, renamed David Marks (Ryan Gosling) for the film. David Marks is the son of a wealthy real estate mogul, Sanford Marks (Frank Langella) who meets and eventually weds a young middle class woman named Katie (Kirsten Dunst). David rejects his father’s business plans and the young couple move from New York to Vermont and start a little shop they name All Good Things. 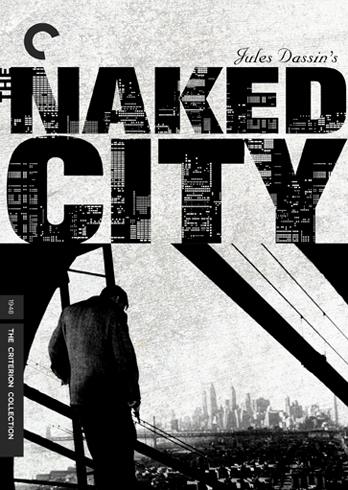 David’s father convinces him to move back to New York and get involved in the family business and David’s demeanor begins to change. Soon, Katie mysteriously disappears and David is suspected of murder. I had never heard of All Good Things before browsing for Ryan Gosling movies on Netflix (yes, I’ll admit it). What drew me to All Good Things is the true nature of the film, and even though some “based on true event” movies can come off as hokey I thought much of All Good Things worked quite well. I was not familiar with the actual case so the story was all new to me, which I think helped sell some of the ideas that the film interjects supposedly based on new “evidence”. So, while the film is based on reality, it doesn’t hinge its own success on that realism. As a die-hard Ryan Gosling fan, I was actually very pleased with his performance in All Good Things, which is not very surprising. What is surprising is Kirsten Dunst’s performance didn’t bore me and I would even go as far as saying this is one of her better performances ever. The film builds a great tension that literally starts as a calm love story and escalates to a thrilling climax. David’s progression from mostly normal to his break with reality is also handled well, though explanations for it are glossed over in the last act. Immediately after the film was over, I wanted to know more about the actual case and I consider that a sign of a good movie. If All Good Things had merely been a fictional thriller, it would have been just OK but considering the story is largely based on truth, I think that adds to the allure of it. The film isn’t perfect and it does drag in spots, but the electrifying performances by Gosling and Dunst really captivated me. I’m not sure if All Good Things is a film I would choose to revisit any time soon, but it’s certainly a film I would recommend for anyone seeking a true crime thriller. 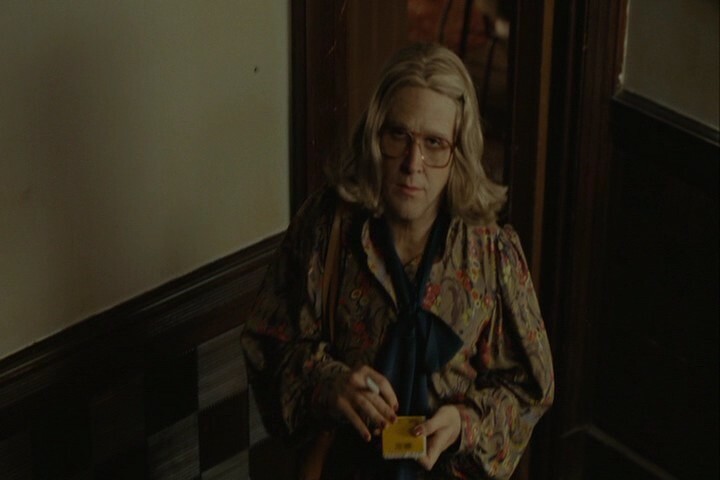 I give it 4 Ryan Gosling makes a surprisingly ugly woman out of 5. In Goon, a nightclub bouncer becomes a hockey star by fighting his way into the sport. Doug Glatt (Seann William Scott) is the nicest bouncer around, apologizing to a man who he was being “bounced” from the bar as Doug was hitting him in the face. His hockey-loving friend, Pat (Jay Baruchel), takes him to a hockey game and when one of the players makes his way into the stands to fight Pat, Doug steps in to fight and becomes the star attraction. Doug is offered to play for a local team acting as a bouncer for the players on the ice and has to learn to skate. Doug is then promoted to a better team to guard their star player and becomes the target for veteran hockey thug, and Doug’s personal hero, Ross “The Boss” Rhea (Liev Schreiber). 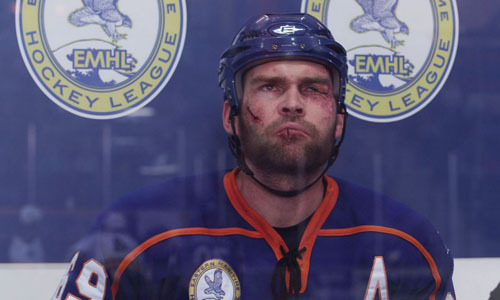 Goon is the perfect example of “don’t call it a sports movie”. Yes, the film centers around hockey, but all you really need to know about hockey is that they skate on the ice, they shoot a puck into the net to score, and occasionally they fight. Goon is really about a somewhat dimwitted guy trying to find himself and he stumbles upon something he’s good at and tries to make his parents proud. I will concede that the film follows a familiar pattern that many sports movies have laid out, but at least Goon is different. Seann William Scott is an actor that may turn some people off of Goon before even watching it, but Scott is very subdued and actually does a good job as Doug. Unfortunately, the same cannot be said for Jay Baruchel, who is a constant shrieking of douchebaggery every second he is on screen. I kind of just cringed and hope he would pass. Still, Scott’s humor was subdued and effective here, I laughed more than a few times but I wouldn’t quite call Goon a comedy, but it is comedic. While Goon may not be a classic film, it sets out to tell a story and it does so effectively and doesn’t overstay its welcome. I found a lot to like, and was always a bit surprised whenever I would read positive press, but now I can fully see why and Goon deserves it. 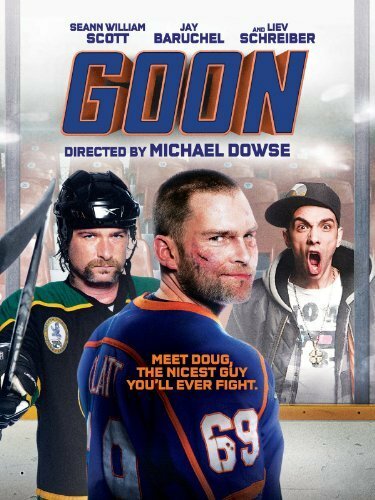 If you have been put off by Goon being a sports movie, it’s not, and if you were put off by Seann William Scott, don’t be. I give it 4 penalty boxes out of 5. 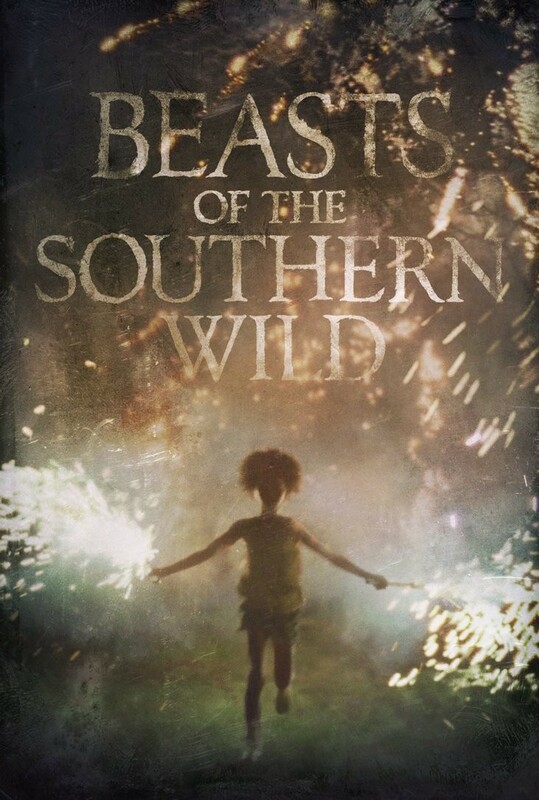 A little girl lives with her father in a sheltered bayou community and goes in search of her mother as her father’s health begins to fail in Beasts of the Southern Wild. Six year old Hushpuppy (Quvenzhané Wallis) lives with her father, Wink (Dwight Henry) in an isolated shanty community called The Bathtub south of the levees in Louisiana. As her father’s health begins to fail and a storm rolls through, leaving The Bathtub entirely underwater, Hushpuppy believes the universe is out of balance and attempts to find her mother. Part of the universe being imbalanced means that a group of large beasts known as aurochs become thawed from the ice caps and are making their way south to The Bathtub. Beasts of the Southern Wild is much more touching than I anticipated it being. Hushpuppy’s childlike wonder makes the film a blend of surreal fantasy and we are left to wonder what is really happening or what is her interpretation of the events. She knows little of her father’s illness because he keeps it from her and we, the audience, are also left mostly in the dark to the specifics. 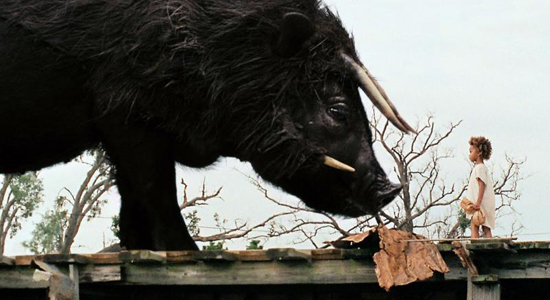 This also makes the aurochs a great force that is mysterious and their presence in the film is small but significant. One thing that I normally point out when I review films is whether or not they use shakycam and then I point out how much I abhor shakycam. Beasts of the Southern Wild is shot entirely in this manner, but it works in the manner of the film and never feels out of place. In fact, after the first 15-20 minutes of the film, I barely even noticed because it just felt so organic. First time filmmaker Benh Zeitlin really provides a lot of love here and Beasts of the Southern Wild is a film that is quite hard to describe in short. While the plot may be too esoteric for its own good, and certain scenes seem to lack focus, everything has its place in the film. I went in to Beasts of the Southern Wild expecting a Where the Wild Things Are if it had been directed by Terrence Malick but I was way off. Beasts of the Southern Wild is actually quite unlike any other film I’ve seen that is a story of survival just as much as it is about growing up. I give it 5 auroch face-offs out of 5. Fun fact: The aurochs in the film are completely different from their real, extinct namesakes. The creatures in the film were created by using baby pot bellied pigs with a nutria skin prosthetic. Them (Ils) is a film about a couple living in the secluded French mansion that gets terrorized one night by a group of unseen assailants. 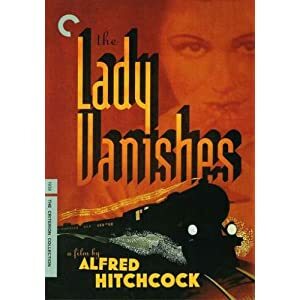 Them begins with a mother and daughter driving along a dark country road when a figure appears in the road and the mother swerves to avoid hitting it. After crashing into a light post, she gets out and looks under the hood while the daughter remains inside. When the mother disappears, the daughter panics as she realizes she is not alone and is then strangled from behind. Cut to a woman who, on her way home from work, passes the car unknowingly. She then arrives home to her boyfriend and as the two settle in for the night, strange noises wake them. Soon they are terrorized by “them”. I really wanted to love Them, perhaps I was expecting too much but even at a brisk 74 minute runtime the picture felt a bit long to me. I didn’t care what happened to any of the characters and for a horror/thriller I was neither horrified nor particularly thrilled. 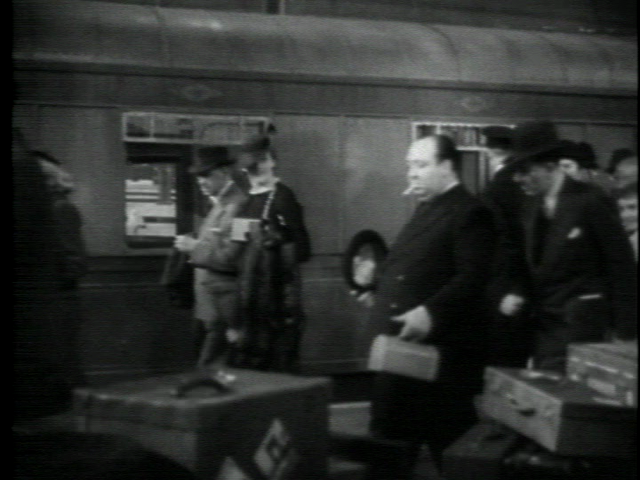 However, in spite of all that, Them is a fairly enjoyable film, just not the masterpiece I was expecting. 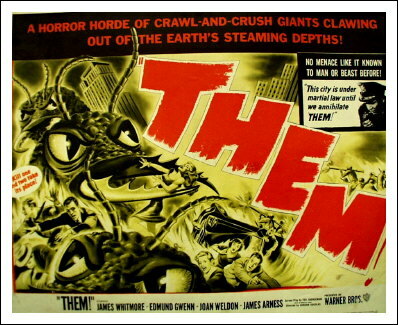 Finding out who “them” are was actually fairly satisfying and though it’s not the twistiest of twists in filmdom, it is realistic. Speaking of realistic, this is yet another film “based on true events” which is typically a flimsy excuse but in this case it is true, but glorified. Them is a film that is worth seeing even though I was a bit harsh on it. At barely over an hour, it is a lean film that has little to no filler, but the downfall is that there is no meaningful character development. It is very similar to the US film, The Strangers, which I prefer over this. Still, Them is not a bad way to kill a bit of time and get some enjoyment. I give it 3 the giant ants from Them! would have made this much more interesting out of 5. I’m not going to sugarcoat it; Slugs is a terrible movie. While browsing Netflix Instant Watch with Julian before leaving for Ebertfest, we happened on Slugs. I had mis-remembered a scene that had scared me as a kid and we thought we might be in for a so-bad-its-good horror movie. 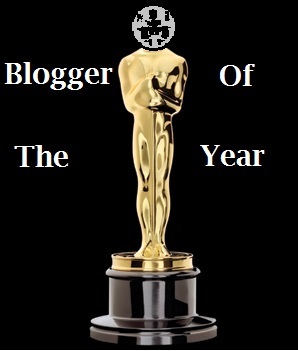 Oh, we were wrong. 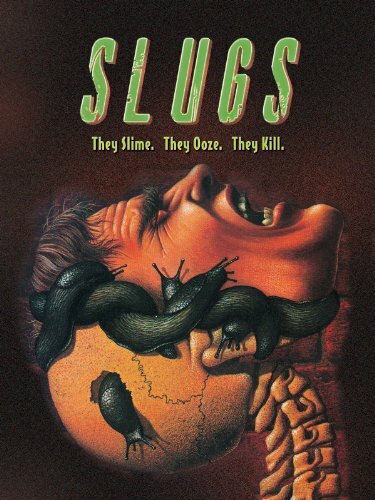 Slugs starts off with a series of people encountering the slugs and possibly getting killed. I say “possibly” because there is no violence on screen, it always cuts away to the next group. After about 10-15 minutes of these cutaways we had two questions: 1) Would we get to see any slug-related violence? 2) Is the whole movie going to be random people getting eaten by slugs or is there a plot? Turns out there is something that sort of resembles a plot in Slugs but it’s pitiful…Along with the acting, script, sets, production values, et cetera. The first half of the film you may get some enjoyment out of based on the sheer absurdity of it, but the second half of the film takes itself so deadly serious that it practically put us to sleep. Unless you really enjoy terrible horror movies, and I admit they can be fun, Slugs fails at even being enjoyable enough to make fun of as it drags on. I give it 1 yes, this really happens in the movie out of 5.